D'Arenberg 2914 The Dead Arm Shiraz ($65)— This is my favourite of the three new vintages of the Icons. The lovely, rich berryfruit flavours have a delightfully earthy, old-vine edge to them. Think ripe berries, foot-crushed autumn leaves and stewing mushrooms. Then bring on the heartiest of winter beef stews. D'Arenberg 2014 The Ironstone Pressings Grenache Shiraz Mourvedre ($65) — There's a reason why these three red varieties are planted together in places such as France's Rhone Valley and Australia's McLaren Vale and Barossa Valley. And that's because, in Mediterranean-style climates, they blend into soft, heavenly complexity. D'Arenberg 2014 d'Arry's Original Shiraz Grenache ($18) — For mine, still far better value than any of the three wines in the Icon series. This red carries its familiar red diagonal slash of warning with pride and was first released in the 1960s. It's soft, it's full-flavoured, it's complex, it's beguiling … ok, it's just moreish. 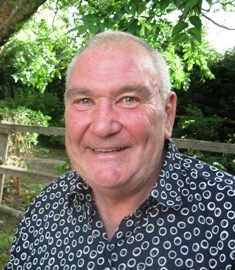 It would be easy to dismiss Chester Osborn as simply an extrovert — as someone who wears the loudest of shirts and has shown the flamboyance to match that of his famous father d'Arry and come out at least equal on the personality front. And he's certainly done that, while at the same time presiding over the creation of one of Australia's broadest range of wine labels — and definitely the most lavishly named. Think the Stephanie the Gnome with Rose-Tinted Glasses Shiraz Sangiovese or The Witches Berry Chardonnay or The Broken Fishplate Sauvignon Blanc, and you'll get my drift. But in doing and being all that, Chester has also shown himself to be a highly skilled and sensitive winemaker. In just over 30 years, he has taken a line-up of mostly average full-bodied dry reds and turned it into a portfolio of elegant wines — red, white and sparkling — that can stand tall among those anywhere in the world. And, believe me, that's quite an achievement. Chester has just released the 2014 vintages of his three Icon series wines — the Coppermine Road Cabernet Sauvignon, the Dead Arm Shiraz and the Ironstone Pressings Grenache Shiraz Mourvedre. Some people will quibble and their $65 price tags, and many won't be able to afford them, but who can afford a Roller or a top-of-the-line Merc? They're at prices that are quite normal for top quality in today's wine world. ONE TO NOTE: INCREASING numbers of growers in Tasmania are reporting great results from trial plantings of Syrah, with buyers who've a passion for cool-climate wines realising just how good are the wines from these vines. Spicy and savoury and with a touch of oak, the marvellous length of flavour will make for a great match with something a bit out of the ordinary like rare pan-seared venison with rosemary and dried cherries. Pay $36 at cellar door, online at info@riversdaleestate.com.au or by phone on 03 6248 5555; freight is extra. released under this label in 1952. IT'S little wonder that John Riddoch had been dubbed 'the Squire of Penola' by neighbours of his vast estate at Coonawarra back in the late nineteenth century - the property covered an amazing 700 square kilometres, and from the early 1880s had been supporting as many as 160,000 sheep. But in the early 1890s 'the Squire' decided it was time to down-size, and so carved it up into smaller blocks which he sold off to new settlers, while also planting 52ha of vineyards for himself on part of what he had kept. After his death in 1901 those 52ha somewhat languished, until Melbourne wine merchants Samuel and David Wynn became impressed with the richness and intensity of wines still coming off the old property. So impressed, in fact, that they bought the place in 1951, renaming it Wynns Coonawarra Estate. Just a year later they released a 1952 Shiraz under the estate's name, and a now-released 2014 Wynns Coonawarra Estate Shiraz furthers the reputation of this premium Coonawarra Shiraz under the label. Medium-bodied with lovely flavours of red and black fruits, forest floor brambles and a cool spiciness, this 2014 is fresh, lively and rich, and has a beautifully lingering finish. At $25 it's a particularly nice choice with barbecued lamb burgers. Blue Wren, nestled amongst the vines and situated in one of New South Wales' premium wine regions – Mudgee - has just released their first ever rosé label, Blue Wren No. 516 Rosé. Joining the Rosé Revolution this is the first time that Blue Wren has produced rosé, using Merlot grapes from The Lost Block. The Lost Block is located in the Mudgee region, situated on a small four-acre block that produces low yielding yet high quality fruit and having never been utilised for a decade - hence the title of The Lost Block. The result of this is the Blue Wren No. 516 Rosé exhibiting a delicate wine that is clean and crisp with a subtle pink colour and fresh lifted with red berry fruit of the raspberry and a slight hint of strawberry. 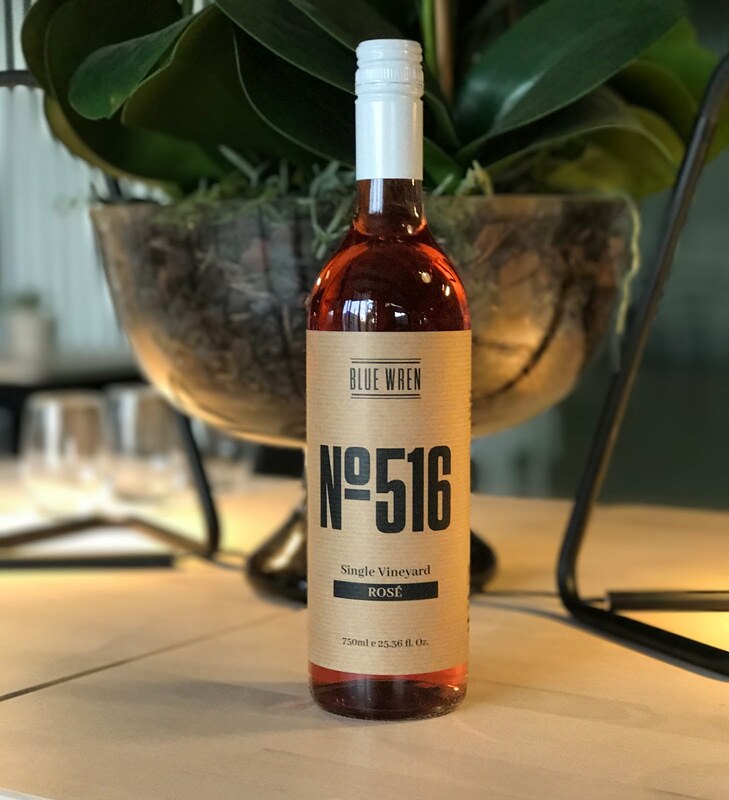 At 13.5% alcohol, Blue Wren's rosé is a tran-seasonal drink, that is crisp, dry and savoury on the palate with a sharp dry quick finish making it the perfect dinner aperitif or equally a pleasant light dessert wine. "We are very happy with the result. Mudgee's grape growing conditions are well suited to traditional rosé varieties, that give rosé produced in Mudgee a distinct ripe and savoury taste that goes with a range of dishes," Says Blue Wren owner Kip Harris. Today, Rosé wine is among the fastest growing wine styles in Australia because of its refreshing drinkability, and suits the warm climate and it goes with a wide selection of foods. "We have seen the popularity for rosé grow in and around the region and the exceptional quality of grapes produced here in Mudgee. We are now a part of the Rosé Revolution and have created a vibrant and tran-seasonal wine," says Harris. The Bundaberg Rum Distillery is a unique, authentically Australian icon unlike any other. For over 128 years the Bundaberg Rum Distillery has proudly created the smooth golden liquor made from the finest sugar cane in tropical Queensland, surviving two fires and two floods as an enduring testament to the Australian spirit. 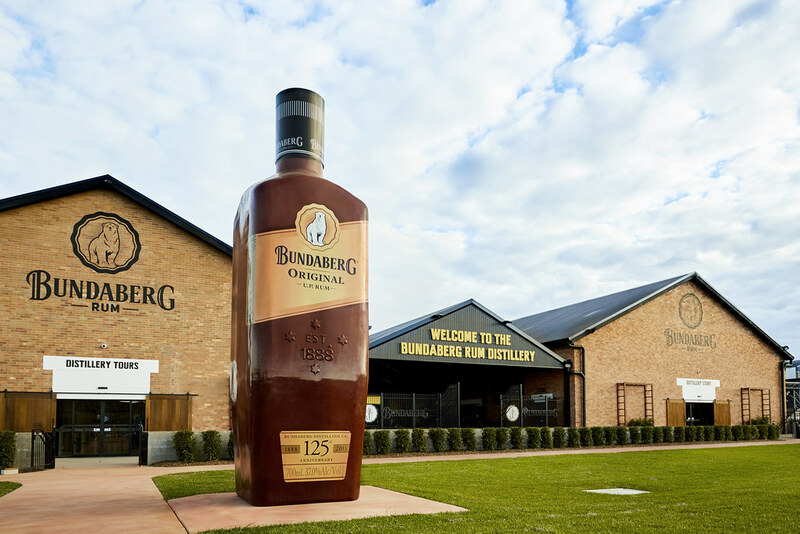 Whether you’re a rum enthusiast or planning a weekend away, the Bundaberg Rum Distillery, just four hours north of Brisbane airport, offers guests an unforgettable and one of a kind distillery experience. 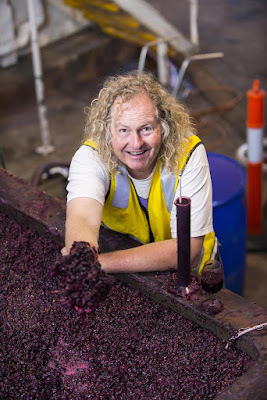 PETER LOGAN'S 20 year old vines on the red loam soils of his vineyards at Mudgee and Orange in the Central Ranges of NSW, have given him good reward with his 2014 Weemala Merlot, a now-available and beautifully stylish wine with its palate of bright mixed berries and thyme, before a long dry finish. And it makes for a particularly good drop to put on the table with pan fried veal chops and brown mushrooms, the more-so too with its price tag of $19.95. Peter actually opted to leave 25% of his Merlot on the vines in 2014, the 75% that he did harvest being his best ripe and clean fruit, and the most richly flavoured, of nice texture and with excellent varietal characters. For those who love to get their nose into the bottle or glass, there's rewarding results here too, the high-altitude Central Ranges always to the fore with wines that are nice and highly perfumed – in the case of this 2014 Logan Weemala Merlot, of predominantly violets, black olives and truffles. And if you may be wondering about the name Weemala, it's a local aboriginal word for 'good view,' which certainly Peter's vineyards enjoy out there in those lofty cool climate Central Ranges. four-quarter chops and apple sauce. THE growing season for vintage 2016 in NSW's Central Ranges that local maker Logan Wines summed up as "unpredictably kind," gave the company both the biggest harvest in its 20 year history, and it's earliest. After starting, in the words of owner and winemaker, Peter Logan "scarily hot and dry," the 2016 season soon gave way to much needed rain and mild temperatures, which all proved that even cold climate wine can benefit from a good dose of vitamin D and a wash-down with a healthy amount of water. "As a result we squeezed in our biggest harvest ever in the shortest number of days," says Peter. "A few records were broken, and nearly a few backs in the process, but we're already reaping the rewards." And he's particularly happy with the season's 2016 Sauvignon Blanc, a variety that loves sunshine, but with too much heat can ripen without developing flavour, and also lose the all-important acid that it needs. "But this one's proved absolutely true to variety, with complexity and round but fresh drinkability," Peter says. With prominent grapefruit and guava flavours on a core of lime and minerality, it's a delightful match with pork four-quarter chops and apple sauce; well-priced at $23. ONE TO NOTE: T'GALLANT that was founded amid the rolling hills of Main Ridge on Victoria's Mornington Peninsula in 1990, has a nice range of bubblies pitched at the growing market for quality sparklings priced around $15 to $20. Their T'Gallant Pink Moscato is particularly interesting, being slightly sweeter than the others and thus of appeal to those with a sweeter tooth, or equally it will pair-up delightfully with sweetish desserts – and yet conversely with spicy Asian food. And at $20 it comes in an attractive curve-shaped bottle that gives it added appeal as either a gift, or to take along as a thank you to a home-dinner host. EQUALLY enjoyable with sweetish desserts, or spicy Asian dishes. ONE TO NOTE: GRAEME SHAW confesses to being a huge fan of his own vineyard's Semillon, and with almost 5ha growing at Murrumbateman in the Canberra district he's in fact got more of it than the rest of the district put together. And after indulging the rewards of his 2015 Semillon that he says came out of his best vintage ever, he now says his 2016 has equalled that best-ever 2015. And to prove it he's released a 2016 Shaw Winemakers Selection Semillon Sauvignon Blanc, that with some 85% Semillon is basically all about that, and just how beautifully it has blended with the acidity and lighter body of the Sauvignon Blanc. At $18 it's a great match with seafood, pork, creamy pasta dishes, chicken or turkey. AT $18 a great match with seafood, pork, creamy pasta dishes, chicken or turkey. WHEN you are one of just 65 wines listed as "Excellent" in Langton's #VI Classification of Australian Wine – considered the ultimate guide to local fine wines – you certainly know you are doing something right. And Katnook Coonawarra have definitely proven just how right they have done that something with their now-released Katnook Prodigy Shiraz 2012, a wine crafted from small parcels of grapes off low-cropping Coonawarra vineyards renowned for fruit of consistently outstanding depth of flavour, plus excellent colour and firm tannins. Planted in the mid-1990s these vineyards are meticulously managed with hand-pruning, bunch-thinning and shoot-removal to result in this most remarkable Shiraz. Winemaker Wayne Stehbens says he considers 2012 to have been one of Coonawarra's finest vintages, its grapes of wonderfully generous pure-fruit flavour, with underlying liquorice spice, finely-grained tannins and plenty of length of flavour. With no change out of $100 a bottle, this is one to offer for very special occasion long and leisurely enjoyment with brioche, hard cheeses, paté and quince paste, or a main course of richly gamey venison that will play beautifully to the wine's flavours. DEFINITELY rewarding from one of Coonawarra's finest vintages.